Distinctive events for discerning clients, Chef MHAT creates custom menus for each event tailored to your specifications. Whether it's dinner for 2 or 2000, each event is crafted with care by Chef MHAT and her team always serving Style You Can Taste. 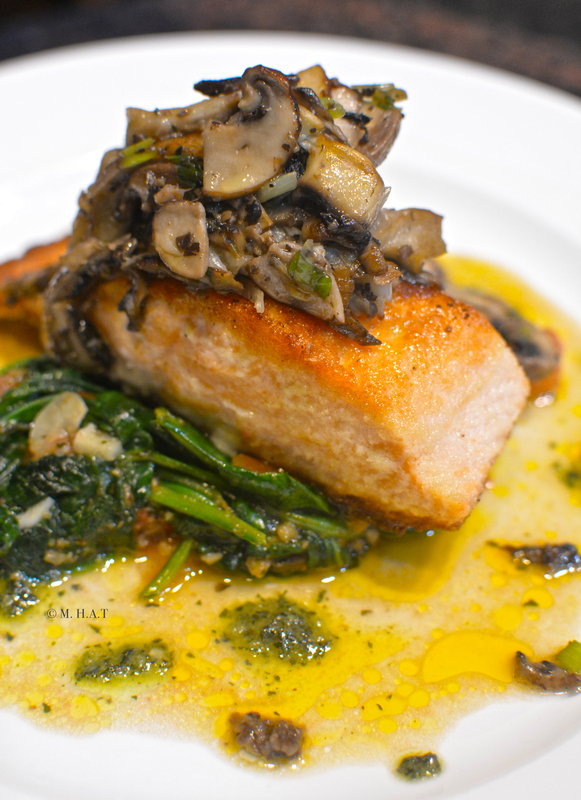 Chef MHAT specializes in off premise events, delivering a fine dining experience in any location. Be a guest at your own event, let our team take care of everything! With over twenty years of producing extraordinary events Chef is always prepared for the unexpected. From repairing wedding dresses, baking cookies in a field of flowers, or simply accommodating that unexpected guest or food allergy you can always count of chef for creative solutions. Chef M.H. A Thibeault has over 20 years of experience in the hospitality industry. A graduate of the French Culinary Institute in NYC, she studied under eminent chefs Alain Sailhac and Jacques Pepin. She was Executive Chef for Mood Food, which under her leadership garnered a spot on New York Magazine’s Top Ten list. After spending a few years in the kitchen, she was recruited to be the Director of Special Events for RDC & The Destination Group. Chef M.HA.T produced hundreds of events for NYC’s elite clientele. She eventually went out on her own and started Innovative Events, a boutique luxury event planning and catering companies in NYC and Ponte Vedra Beach, Florida. She was a Trustee Member of the Jacksonville Chamber of Commerce and was recognized for her charitable work for the Jacksonville Chapter of Cystic Fibrosis Foundation. Returning to upstate New York as the Director of Banquet & Convention Services at the Crowne Plaza Hotel in Albany, New York . She became the Director of the hotel’s wine program and then transitioned to Food & Beverage Director. In 2009 M.H.A. Thibeault was a Founding Director and currently serves as Vice President of the Board of Directors for the “Albany Chefs’ Food & Wine Festival: Wine & Dine for the Arts”, who’s mission is to promote and enhance Albany by highlighting and marketing its’ chefs and innovative cuisine and to provide sustainable funding to the downtown arts community. The Festival has raised over $925,000 for the Arts in Albany. Chef M.H.A.T has made a commitment to help build a better community. Her numerous charitable endeavors include serving as Exec. Director for Dance Crazy, serving on the board of directors for the Stakeholders Foundation, supporting yearly campaigns for the Leukemia & Lymphoma Society including being a 2013 Woman of the Year Candidate, LunaFest to benefit Sjogren’s Syndrome Foundation, founding the Meil Fleur Societé, annual fundraisers for Yono’s Scholarship Foundation and for the Albany Barn. MHA Innovations was founded in 2010 to provide public relations, marketing, brand management and hospitality management resources to the hospitality industry. She was a 2013 finalist for the Mark of Excellence Award, 2014 Jefferson Award recipient for extraordinary public service, and was named the 2014 Arts Ambassador. In 2017 Chef M.H.A. Thibeault decided to return to the kitchen to provide distinctive events and private chef services to the Saratoga & Greater Capital Region merging those services with MHA Innovations to create Chef MHAT LLC. 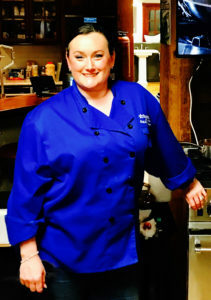 She was recently named a BlueStar All-Star Chef.